The following list of physicians, in order of the highest potential incidence, will encounter patients either at risk for acquiring Lymphedema or patients with established Lymphedema in their practices. It is a clinical reality that lymphadenectomy, as well as Radiation Therapy place patients at risk for acquiring Lymphedema. It is therefore reasonable to assert that directly following these procedures, patients may have latent Lymphedema, due to a reduced regional Lymph Transport Capacity. We feel that Lymphedema can potentially be prevented if patients are thoroughly educated about their risk for acquiring it. Such education would promote an understanding of exactly which environmental influences, ADL considerations or clinical procedures would act as precipitating or exacerbating factors. Most patients, although told about Lymphedema, do not realize that it is an intractable and progressive co-morbidity that can lead to compromised Quality-of-Life, ADL restricitons, limb disfigurement, diligent self-care maintenance and a significant financial burden since most insurance providers offer only minimal, if any, reimbursement for Lymphedema treatment. With this in mind, we offer Complimentary Educational Seminars on Lymphedema Prevention, often hosted by the American Cancer Society, Manhattan Hope Lodge. We have found that both patients at risk for Lymphedema, as well as those with established Lymphedema, equally benefit from our presentations, as they offer a comprehensive overview of the condition at large. 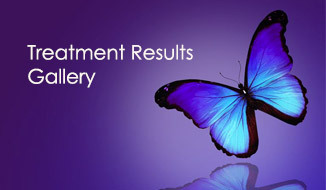 We encourage all postoperative oncology patients to attend our seminars. We also encourage patients to have individual consultation and evaluation in our facility, where we offer personalized approaches to Lymphedema Prevention and Management. For Physicians and affiliate clinical staff we offer presentations on Lymphedema Management, which include: classifications, staging and treatment options. Please contact our facility to arrange a presentation for your facility or practice. If you would like to be involved in helping to raise awareness for Lymphedema Prevention, we invite you to participate in our Regional Lymphedema Prevention Consortium of Physicians. The goal of this Consortium is to standardize a model of care for postoperative oncology patients at risk for acquiring Lymphedema. Contact us for Consortium participation criteria. 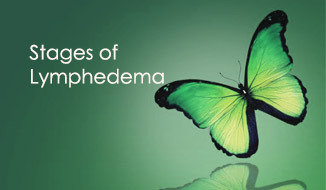 A unique feature of our facility is that we treat all classifications and stages of Lymphedema. This means that we can treat all patients with Lymphedema, referred by any of the specialists listed above. Lymphedima treatment or Combined Decongestive Therapy (CDT) is an effective ancillary measure in wound care and in many cases has helped patients progress to complete wound closure.